Qioptiq Ltd, based in St Asaph, North Wales, is a member of the worldwide Qioptiq group and has over 40 years experience in the electro-optics industry covering space, air, land and sea domains. The Land Equipment business group is primarily focussed on the design, development and support of night vision and uncooled thermal imaging equipment for the dismounted close combat (DCC) domain and has done so for the past 20 years, developing a strong pedigree in the design, development and support of weapon sights, surveillance sights and other dismounted equipment. Qioptiq has been actively involved in a number of Soldier Modernisation Programmes around the world and currently has equipment in service with armed forces and security agencies in over fifty different countries worldwide. Qioptiq has played a part in the UK FIST project for over ten years, taking the project from its initial phases and through the Technology Demonstration (TD) Phase, before THALES were awarded the PrimeContractor Management Contract for the Assessment Phase (AP) and took control as the FIST project grew in size and scope. 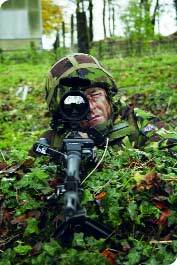 Even throughout the recent FIST AP, Qioptiq have been significantly involved in the development of the Surveillance and Target Acquisition (STA) suite and have benefited from the close involvement with the UK MoD Infantry Trials & Development Unit (ITDU) throughout this period. The trade off between capability, complexity and cost continues to drive Qioptiq down a path of incremental capability insertion, allowing our customers to make the most of what they have for as long as possible. Since being launched in 2006, the VIPIR-2 family of uncooled thermal weapon sights has proved to be very capable and has been well received by its users around the world, demonstrating extremely high levels of reliability under challenging operational conditions. The family has been expanded in order to provide a range of variants based on a common core architecture, man machine interface and logistics support approach. The expansion to cover a range of weapon sight configurations, alongside surveillance variants provides customers with the ability to tailor procurements in order to meet a range of requirements, whilst maximising the benefits of the family approach through common logistics support packages. VIPIR-2 variants are now deployed with over ten international military users including the UK, Australian and Jordanian Armed Forces Qioptiq Ltd are further developing the VIPIR series to include variants aimed at enhancing performance of the core thermal technology and providing greater integration into legacy and emerging soldier systems. This needs to be balanced with an understanding of the “cost of capability” and ensure that new systems can be integrated with legacy whilst allowing capability growth for the emerging and future systems. Providing a detection range (man) of over 1200m, delivered in a ruggedised package weighing approximately 1kg whilst running on four AA batteries, the VIPIR-2 has been fully qualified on a number of weapon systems ranging from 5.56mm up to 40mm. Recognising that the VIPIR-2 construction was robust enough to survive the various shock profiles experienced on the typical range of small arms deployed with armed forces, the next step was to look at expanding the VIPIR-2 range to build up a “family” of sights that would be tailored to the various user and mission needs. The “family” concept was based on that developed for the KITE family of Image Intensified Weapon Sights developed by Qioptiq (then Pilkington P.E. Ltd) during the 1980’s, which proved highly successful. To date, KITE variants are in service with armed forces and security agencies in over fifty different countries worldwide. The first step was to launch the “S” or Surveillance variant, in order to provide a hand held package that could easily be adapted for tripod mounting or integration with other observation systems including Target Designation and Integrated Surveillance Systems. The VIPIR-2S provides identical range performance, user operation and power supply as its weapon sight counterpart, albeit in a more comfortable form factor. 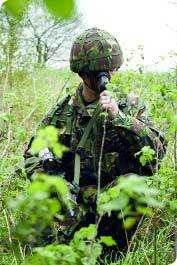 As the VIPIR-2 became exposed to numerous user trials covering differing requirements, it was recognised that the optical parameters of the VIPIR-2 could be adapted to provide a range of options more tailored to weapon types and operational scenarios. This has led to the launch of two further variants, the CQB (Close Quarter Battle) variant, providing a wider field of view, unity (X1) magnification and reduced weight. The VIPIR-2 CQB provides enhanced situational awareness and is well suited for FIBUA (Fighting In Built Up Areas) and urban activities, due to a close focus capability of <1m. The VIPIR-2CQB can be used in conjunction with many NVG’s to provide a degree of “sensor fusion” for the dismounted soldier. The “+” variant (VIPIR-2+) provides enhanced range performance (approx 30% over the standard VIPIR-2) through the use of a 6.75º objective lens, therefore providing an overall system magnification of X3.6 (X7.2 when using the E-zoom function). With the ability to detect a man at ranges in excess of 1800m and vehicles in excess of 4km, the VIPIR-2+ is well suited for use as a 24hr sight capability for support weapons, heavy machine guns, 40mm automatic grenade launchers and anti tank weapon systems. Given the modular construction of the VIPIR-2 family, both the CQB and 2+ variants are also available within the Surveillance range, therefore completing the family. The whole VIPIR-2 family benefits from a high degree of synergy in a number of ways, including basic operation, core architecture and user spares. Once a user has been trained on any particular variant, he is able to operate any of the other available variants. The latest addition to the VIPIR-2 family is a dedicated sniper variant, designated SVIPIR-2+. Built upon the VIPIR-2+ architecture, with slight modifications, the SVIPIR-2+ provides an in-line thermal sight that is used in conjunction with the operator’s host day sight. The SVIPIR-2+ is simply placed in front of the host day sight on an interface and provides a thermal view of the world without the need to re-adjust the day scope. The SVIPIR-2+ concept has proved to deliver capability allowing users to engage targets out to 1000m in total darkness. Qioptiq believes that a family approach to equipment development is the key to ensuring value for money, which can be achieved both in equipment acquisition and throughout the long term. A high degree of commonality provides for a significantly reduced logistics support footprint. Qioptiq are also bridging the gap between the STA andthe C4I/C2 domains with the Soldier Man MachineInterface (SMMI) product which provides a hand held controller and display for soldier systems and other mobile users. The SMMI was developed in conjunction with THALES Netherland BV Land & Joint Systems to provide a lightweight, intuitive means of accessing the Command & Information Module (CIM) developed and deployed for trials during a previous phase of the Dutch Soldier Modernisation Project (SMP) in 2006. The SMMI provides a high resolution display (SVGA) and open RS232/USB architecture coupled with an 8 control system configurable MMI and a built in Digital Magnetic Compass (DMC) in a unit that can be operated by either left or right hand. Drawing on key experiences gained over numerous SMP’s Qioptiq took the SMMI concept and worked closely with Thales Netherland L&J to turn the concept into a lightweight, low power, ruggedised controller that provides the User with a key MMI capability required by many of today’s SMP’s. The SMMI concept was immediately appealing to Qioptiq due to previous experience of designing, building and trialing Helmet Mounted Displays (HMD’s) for SMP’s. The HMD is an excellent concept of an efficient MMI between the User and his system, whether that is for remote viewing of other STA asset outputs (e.g. for off axis engagement) or access to a host C4I system. However the issues associated with head mass, cabling to the head/helmet, space envelope conflicts with other legacy items, daylight visibility/night time security and other prolonged Human Factors issues have proven tough challenges to overcome - even with the development of potential wireless solutions. Neverthless, the HMD offers the most efficient solution if it can be made to work. The SMMI concept addresses many of the issues that HMD’s present, and provides the user with efficient access to the host system in a single handed solution, therefore allowing the weapon to be held ready. This overcomes the issue sometimes associated with PDA type systems where 2 hands are needed to hold and operate the system efficiently. Daylight visibility/night time security issues are also countered using simplistic eyecup design that closes the eyecup when the user removes the unit from his face, which also helps to keep dust/dirt out of the optics. As a body worn unit, the SMMI reduces cable need, therefore reduces weight and potential snagging issues of running cables between body and head sub systems. The SMMI is currently under evaluation with a number of SMP’s reaching maturity and heading towards mature equipment acquisition. Having gone through extensive trials including the Dutch Digitized Soldier System CIM project, the SMMI is at TRL 8-9 and ready to go. From a technical viewpoint, the SMMI has taken benefit from the experiences and technologies built up on the VIPIR-2 thermal weapon sight fleet, in particular the optical configuration and casting processes used to ensure a lightweight, EMC compliant solution. Qioptiq will continue to push forward with our products and aim to deliver capability that the User requires. We have learnt a great deal from having the VIPIR-2 Thermal weapon sight fleet on active service with a number of our customers, where they have demonstrated extremely high levels of reliability. This has lead to some rapid feedback and lessons learnt with the core technology itself and also the “little things” that can make such a difference to the User. The Holy Grail is to develop the fully integrated multi waveband sight in a single unit to give the User optical, Night Vision and Thermal capabilities - i.e. the best of all worlds (maybe with C4I thrown in for good measure), however there are a number of differing views as to how this can be/should be achieved and where the cost/capability/complexity lines should be drawn, not to mention power and weight. Further developments of the VIPIR family are ongoing, addressing advances in uncooled sensor development to improve range performance and greatly improve the capability/weight trade off. Issues as sensor fusion and deeper integration into C4I systems and the digitised battlespace will also feature on our plans for this year, again whilst trying to strike an appropriate balance between capability/weight and cost.